Crystal 5328 Bicone Swarovski Crystal Beads 4mm. 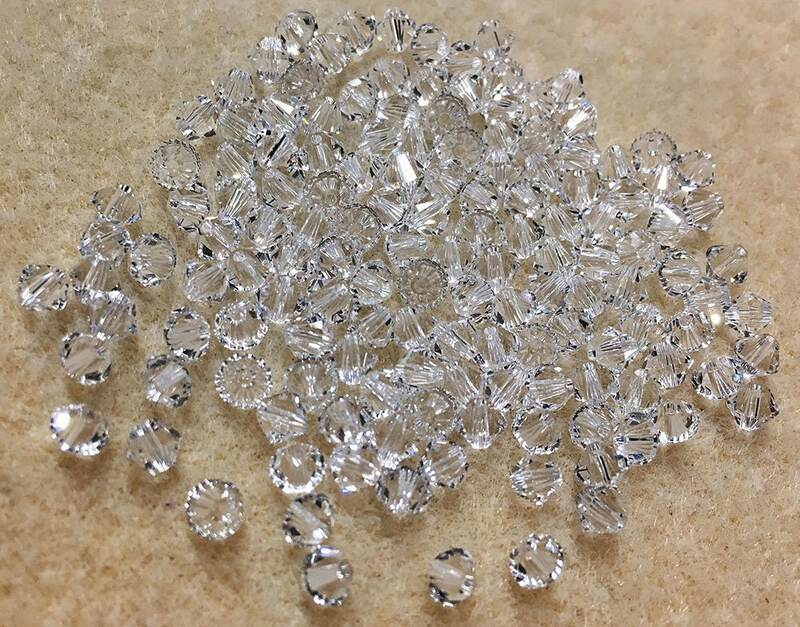 Bag of 48 Crystal clear 5328 bicone shaped Swarovski crystals measuring 4mm. Add some sparkle to your jewelry creations! Sparkle and shine. these beads are what you expect from swarovski. Beautiful.Thanks for everything.